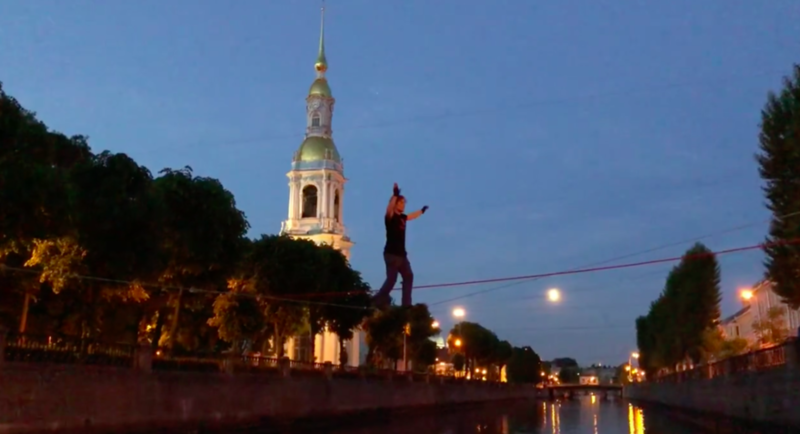 Last weekend, St. Petersburg watched as a tightrope walker in the night strolled along a tight cable over the water. "When the bridges are divorced, and you really want on the other side of the shore . But it turned out that the bridges are not bred through the Griboyedov Canal, so he went back, "the authors of the video published in social networks write.